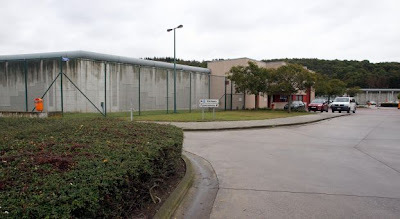 Around 150 prisoners rioted in Andenne prison last Wednesday night. The prisoners refused to go back to their cells and set fire to the corridors and classrooms and ransacked them. Special units of the federal police were called in, and calm was restored by 1:30 AM Thursday morning. There were no injuries, but significant damage was caused. the reasons for the riots are unclear, but Laurent Sempot, prison spokesperson, says they think it's due to an internal memo banning Muslim prayer in the corridors. Prison management only allows Muslim prayer in the cells. Laurent Sempot adds that there's a hard-core group of Muslims who are completely intolerant towards other prisoners, allowing themselves things they are not allowed, especially prayer in the corridors. The prison management decided to put their foot down, and enforce the regulations, and they think this might have triggered Wednesday's riots. Claude Eerdekens (PS), the mayor of Andenne, says the prisoners' behavior was scandalous, and the riots were unjustified. "We live in a secular state," he says, and religion is an individual matter. Part of the prison population is radical and fundamentalist and does not deserve consideration.